Developers held an exhibition at the end of July to display their latest plans for the MMU site in Hassall Road. 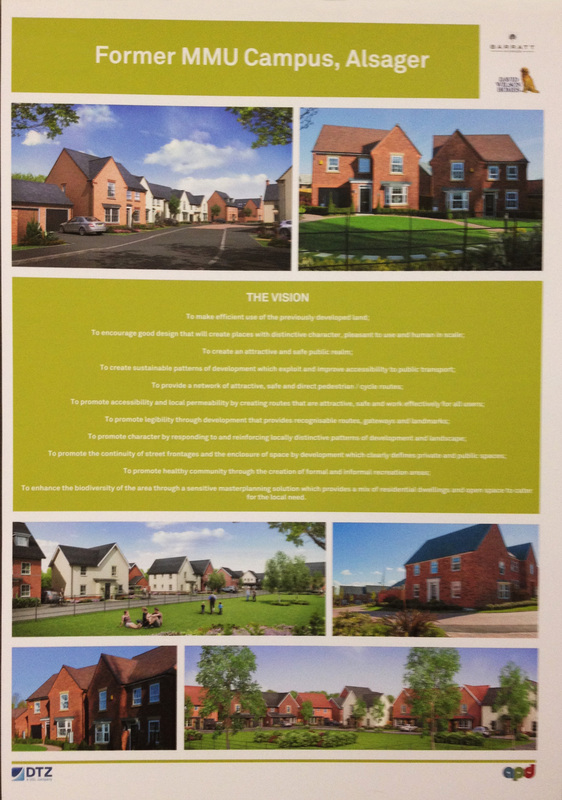 David Wilson Homes and Barratt Homes presented their proposals for the sports development and new residential development. The plans include up to 500 homes and new sporting facilities of all-weather and grass pitches for football, hockey and cricket, along with a new clubhouse. The developers wanted to give residents the opportunity to make comments – a number of whom were keen on having some form of University Technical College included in the plans – before submitting their final application in the next few months.